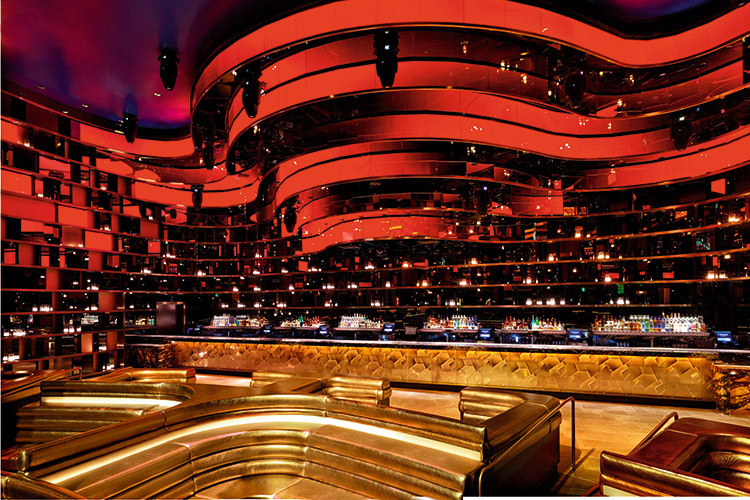 Hakkasan Group’s OMNIA isn’t just a feast of design and technology; it is led by some serious creative vision. 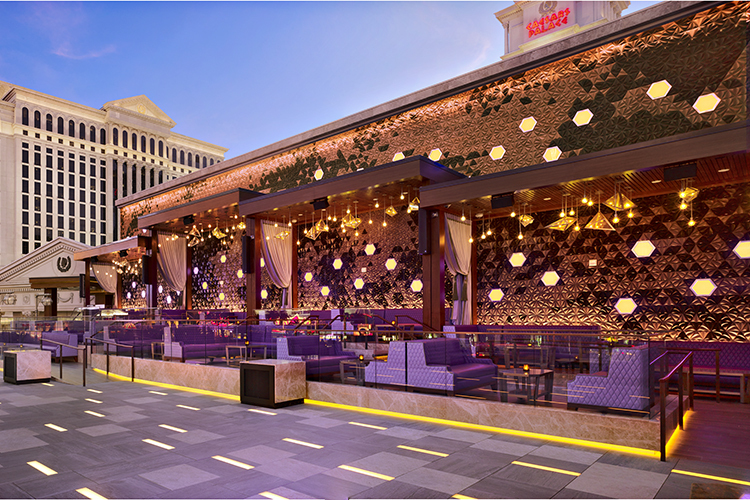 OMNIA Las Vegas takes up a mammoth 75,000 sq ft, which is split across three spaces – the main club, the ultra-lounge, and the terrace. The building work was carried out by Penta Building Group, Rockwell Group were designers and Audiotek ran the technical design team, project managing the technical aspects of the job, including audio, video and lighting. 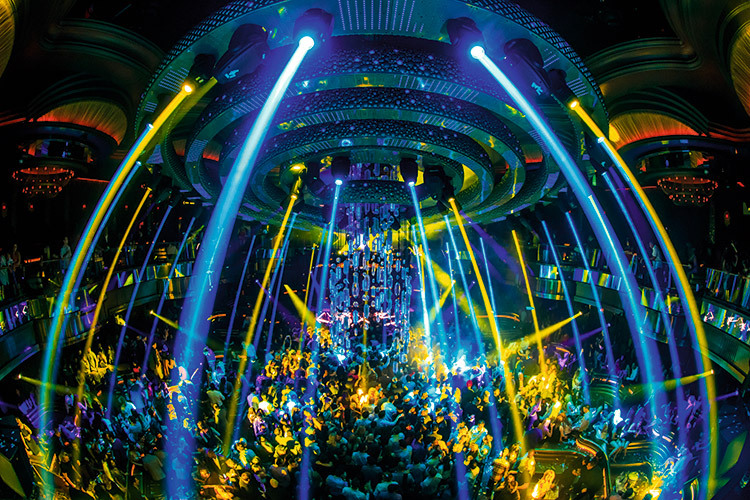 The technical design team featured Audiotek’s Frank Murray plus his colleagues – Andy Taylor, Chris Kmiec, Len Bolger and Mags Morton – as well as Hakkasan Group’s VP of Music, James Algate. It also included Willie Williams – who has been U2’s production designer for more than 30 years. The most obvious outcome of this almost unhindered approach is the huge ‘chandelier’ that hangs from the centre of the main room. It is a triumph of creativity and engineering, which unifies visitors on the mezzanine level with those on the floor. It features eight rings that sit inside each other – the largest is 32ft in diameter and the smallest is 3ft across. It weighs approximately five-tonnes and moves at up to 4ft-per-second. It is controlled by 21 Tait winches and the company’s proprietary Navigator Automation System software. 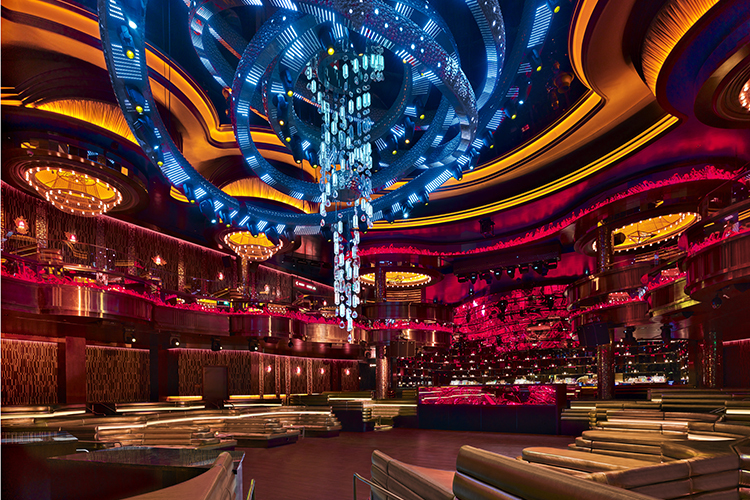 With this in mind, the chandelier has been adorned with 20,152 individual tri-colour LED pixels. Audiotek also installed Robe Pointes and Robe Robin MMX Spots on two of the rings to add even more movement to the chandelier. Elsewhere in the room, Robe 300E Spots and Robe Faze machines continue the dynamic theme. Martin Professional VC-Strips are embedded in the bottom layer of each of the rings and are mapped as a video element. Ayrton Magic Panels and Ayrton Blades have also been specified for the main room, while the venue’s lighting desks include an Avolites Quartz, an Avolites Sapphire and two MA Lighting grandMA2s. Other visual highlights in the main room include a cascading video wall and a 193ft LED ribbon, which wraps around the balcony. Absen provided the HD video panels and four Christie WU14K-M projectors were also installed. The set-up currently runs three Avolites Media Ai EX8 media servers for controlling content. The main room audio is delivered by L-Acoustics ARCS II loudspeakers and SB28 subwoofers, plus 12XTi loudspeakers for the fills. The rear bar has been installed with L-Acoustics ARCS Wide loudspeakers and SB18i subwoofers. The main system is driven by L-Acoustics LA8 and LA4 amplifiers. An L-Acoustics KARAi and SB18i combination provides the DJ monitoring. Heart of Omina – the ultra-lounge within the venue – is once again kitted out with an L-Acoustics sound system. It features ARCS Focus and ARCS Wide loudspeakers, together with SB18i subwoofers. Lighting in Heart of Omnia includes Robe 300E Spots, Ayrton Magic Blades, Ayrton Magic Panels, Philips Showline Nitro 510 LED strobes, Robe Pointes and a Robe Faze. Here, too, LED video content features extensively. 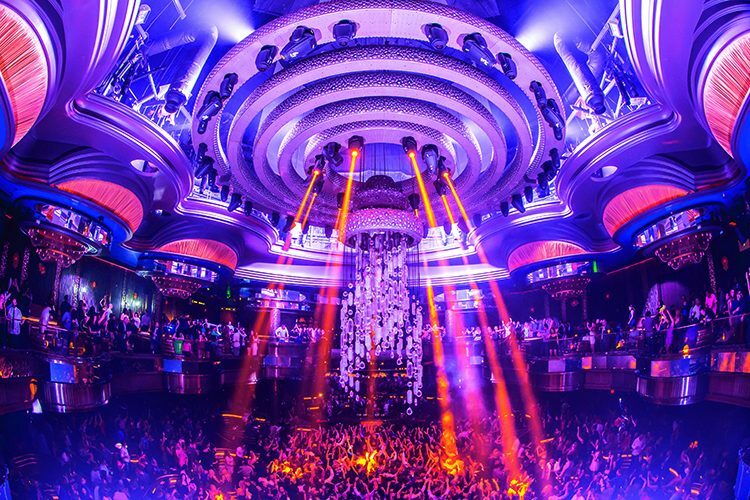 Absen and Audiotek worked together to provide an integrated video environment throughout the 360º Heart of Omnia experience. Reflecting on the project, Frank concluded: “We love what we do and you can’t do this in a better place than the epicentre of the clubbing universe.